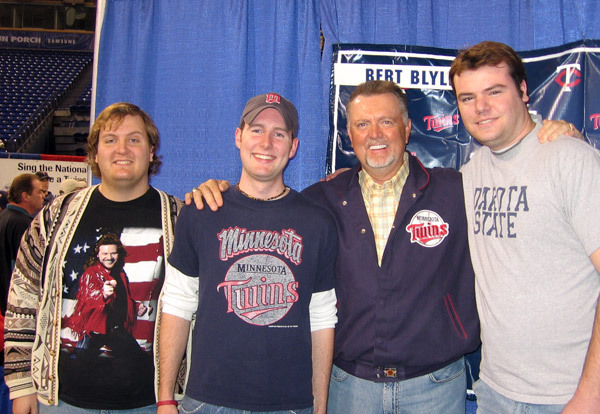 Happy to hear our good friend Bert Blyleven was inducted into the Baseball Hall of Fame today along with Roberto Alomar. Here’s Jason, Patrick, and me chilling with Bert at TwinsFest 2006. Also, kudos to Jason on that particular day… one of the greatest outfits ever assembled. Just an observation, Bert had the most perfect teeth I’ve ever seen… I wonder if they are fake? What is the guy on the left side wearing?